Note: If you are about 50 residents you can request for a Bus for your transport. 9.30 am Flagging off ceremony for Walk for Water at India Gate. 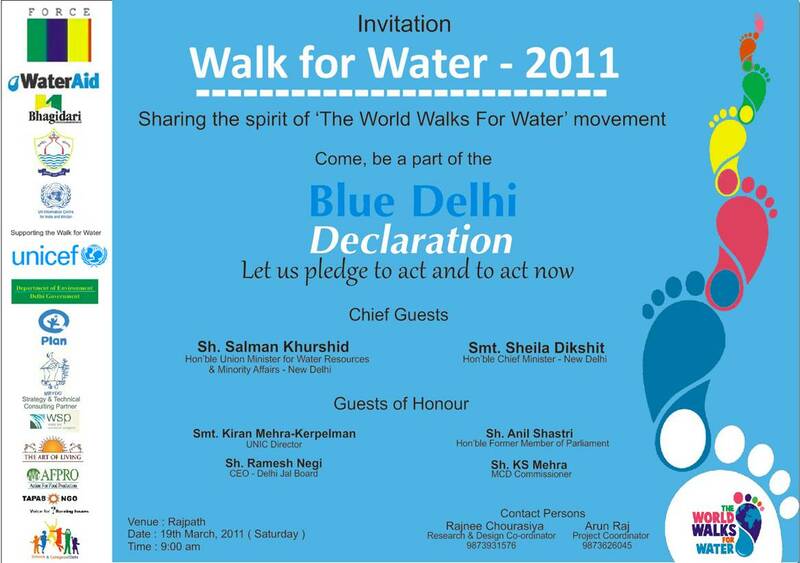 Dress up in Blue – lets walk for BLUE DELHI DECLARATION! !